"I trashed my entire LinkedIn profile. Just got rid of it." Why, I asked. "Because people, other photographers, were contacting my clients through my LinkedIn profile." This photographer, who has asked to remain anonymous, reflects a growing concern about the privacy and interworkings of social networking sites like LinkedIn, Myspace, and Facebook, among others. It would go without saying that if you're working for a company with many employees, you might have clients as your friends/connections. Yet, how are you using the tool? It is a dangerous toy - a place to pass the time, or a communications solution for the newly graduated generation? There are many types of people who use facebook (The Multiple Facebook Personalities, 4/15/08), but instead, there are people with more than one persona on these sites. Having more than one account is a violation of Facebook's Terms of Service, and you risk having both closed. Yet, if you feel you must be on it, maybe you should think about it further. Many people on Facebook, for example, have been on since college, and they have pictures of them partying, and otherwise just being unprofessional. They remain connected to their past, and keep up with everyone that way. But do you really want your new boss, colleagues, and clients seeing those images? Of course not. With your boss, or other professional colleagues on Facebook, do you really want your high school friends to be able to contact your employer, or post photos of you that your boss might see from the past weekends' homecoming celebration you were supposedly home from work sick for? When it comes to freelancers - specifically photographers, it's easy to see nothing wrong with connecting to them. Then going further, it seems a no brainer to connect with your clients. There's where the problem starts. Your friendly photographer colleagues should know that it's wrong to connect with your clients. Yet they don't. Or, they do, and don't care. Further, what if one of your clients is Time, and the other Newsweek? ExxonMobil and Sunoco? Will that create a problem? Surely it could. Do you want to risk it? I am on Facebook (my profile), and that's where my friends are. I am also on LinkedIn (my profile), and that's where I would be comfortable linking with clients. I try not to have the two cross, but I know that it's happened, and there's the risk. If you want to share with your clients - and prospective clients - what's going on in your world, have a blog that you share your day-to-day assignments and thoughts on. Be sure it's being written with your professional end audience in mind. Surely some etiquette is in order. Suffice to say - don't go shopping for new clients on social networking sites when those new clients could well come at the expense of your friends. That's not very friendly. Think twice - no three times - before posting embarassing photos of your friends on a public social networking site. It was funny in college - now, not so much. If nothing else, make the photos private. Above all, be good. Be thoughtful, and do no harm. To yourself, or your friends. 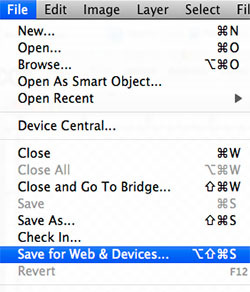 Adobe (NASDAQ: ADBE) has a potential liability on their hands if it does not properly warn users of Adobe Photoshop (and others) that when they choose "Save for Web and devices..." that they are stripping all of the metadata (including ownership information) from the files, unless they take the action of choosing "Include XMP" within the save dialog box. This has been an issue since 2004, when Adobe, in an effort to assist users with creating the smallest files possible for the web, created this feature, since prior to that, you had to choose to not include previews, thumbnails, and so forth, in the 'file saving" preferences. 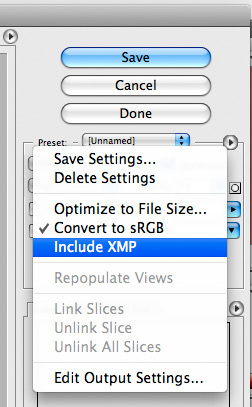 It wasn't until November of 2007 that a "bug" was noticed in Adobe CS3 and fixed, which moved the "Include XMP" to the "fly out menu", which was previously buried in another menu. 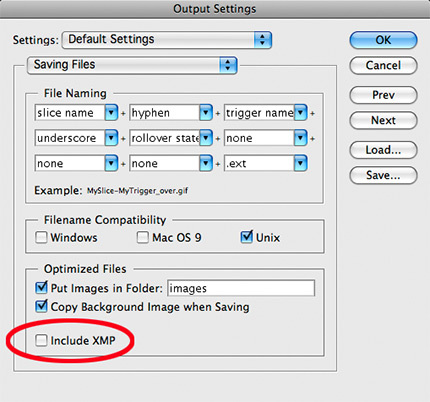 The problem remains, however, that when choosing "Include XMP", it does not include that same data in the legacy IPTC fields, so if your client is looking for ownership information in the Preview program on a Mac, some PC applications, older version of Photoshop, and so on, the ownership information would not be seen. Since Jeff Sedlik, CEO of the PLUS Coalition, has been working closely with Adobe on metadata and rights issues related to the PLUS standards, we asked him if he was aware of these problems. "I first brought the metadata preservation issue to the attention of Adobe engineers in January of 2005. Specifically, I proposed that Photoshop and other Adobe products should preserve metadata by default, even during a “save for web” operation. Months later, I notified Adobe of a bug related to the Photoshop’s preservation of metadata. In both instances, Adobe was very receptive and promptly acted upon the proposals.” Sedlik noted that Richard Anderson/ASMP, Bill Rosenblatt/Giant Steps and others worked in parallel on the issue. Yet, the integration has not been done to include the ownership in both XMP and IPTC when used in Photoshop, so if you had ownership information in just the IPTC, which would include the many thousands of images you may have saved pre-XMP, there is a potential risk that it would get stripped, unless it was migrated into the XMP as well. According to the Digital Millennium Copyright Act (DMCA) the operations of Adobe's Photoshop and other applications - specifically take place without informing the user that it is happening - and thus removes “copyright management information” from protected works that have been worked on in Photoshop and saved, including photos and graphical illustrations. We are going to see more and more issues about ownership of creative content moving forward, and Adobe could well be culpable in DMCA violations. Sedlik reports that he earlier proposed that Adobe display a DMCA warning pop-up when user either turns off the default metadata preservation setting or attempts to edit or delete rights metadata. Sedlik has further proposed to Adobe that “file info” panels should include explanatory text and links to help users to understand the DMCA and the importance of metadata preservation. In addition, confirmation of the setting of metadata being included by default should be in plain view , and maintain the copyright and ownership data in both the IPTC (IIM and XMP) and PLUS fields. It's critical that these choices to preserve that metadata shouldn't be so hidden. Frankly, all of the above should be implemented, to ensure the best protection for Adobe and their unknowning customers. Any argument that the addition of a few hundred bytes of data is going to adversely affect the file size of a JPEG is trumped by the importance of ownership data remaining an integral part of the file as it traverses the internet. 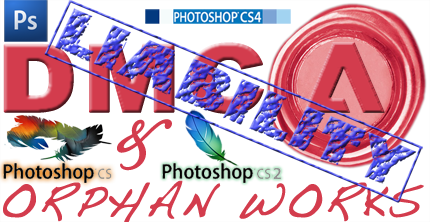 Any argument that Adobe should not be responsible for these issues and contributory infringement need only look to what happens in Adobe when you try to scan in US currency, from Photoshop CS and later. Clearly, Adobe is concerned about liability on currency, so too on the liability of who the owner of the intellectual property that it's applications were used on should be a concern to them. In January of 2004, when Adobe added this capability, in this AP piece Adobe "acknowledged Friday it quietly added technology to the world's best-known graphics software at the request of government regulators and international bankers to prevent consumers from making copies of the world's major currencies", and quoted Adobe as saying the currency protection technology "would have minimal impact on honest customers." So too would the warnings and default settings have a minimum impact on honest users when it comes to the intellectual property of photographers and illustrators. This will become a huge problem once whatever form of Orphan Works gets passed, but Adobe needs to be out infront of this issue, and the change of a default setting, or the addition of a warning box could easily be a "dot-release" addition, since it's not a feature, it wouldn't be something that would be subject to the Sarbanes-Oxley Act, (example of the Sarbanes-Oxley issue here), and Carolyn Wright, over at Photo Attorney, notes a cautionary warning here back in 2007. While I'd make the educated guess that less than 2% of Adobe's customers are photographers, and probably less than 15% of Photoshop users are photographers, these settings, across the board of Adobe's application line, potentially affect all of Adobe's customers both in the liability of creating an Orphaned Work, as well as the DMCA liability of stripping ownership metadata from the images. James Nachtwey's TED Prize gets announced this week, and we're helping spread the word. Watch the video, and check the "X" box on the right to find out what the story is on October 3rd. What bar-room napkin was this silly dot-bomb idea written on? Someone should save it for posterity to remind future "brilliant-idea" purveyors of how miserable these types of failures can be. I mean, come on - a free photographer's website where the hosting company's profits come from advertisers on the photographers' sites? Really? There are solutions that are viable - BluDomain, Clickbooq, and liveBooks are among those that you have to pay for (tho I'm not sure how BluDomain's current pricing model for some of it's potential customers jibes with prudent plans for longevity). There are others too like Rob Haggart's APhotoFolio service that are also well worth looking into. Again, I direct you to Robert Benson's blog where he compares the main website providers - Photographer template websites compared, for his review of the many options available to you. Yet I was perplexed last December when Uber was announced (and I pre-cogged that thud as the sound of it's future (and now realized) failure as it was launched) and PDN suggested that Uber was a competitor of liveBooks. That's like calling public transportation competition for the Bentley's of the world. Friends, Romans, Countrymen - getting a website and starting a relationship is the single most important marketing effort you can undertake. It's not like buying a can of soup. You want a company that provides customer service and followup, and stays current. I know that APhotoFolio is a top-shelf offering, and so too is liveBooks. Clickbooq seemed to me to be engaged and active during the discussion about SERP's on the Search Engines, so that's a good sign from them. I think something like Fluid Galleries isn't on par with these choices, nor other off-the-shelf software packages you might consider. Don't cheap-out on your website. Make the investment, and it will provide 10-fold returns, and be an Uber-success, not an uber-flop like Uber.com was. So, Alamy has reached a critical mass that they've decided they can begin to take advantage of their photographers. Generally speaking, when a business decides to expand it's operations, they don't call all their suppliers and tell them "well, we're growing our business and opening a new office, so what we paid you before for your hard work we're now paying you less - 5% less to be exact." If you're a business you expand your operations from your cash reserves, not on the backs of your suppliers. It's laughable on it's face that any other business would do this, yet photographers will just shrug their shoulders, and accept the lower revenues. Recognize this - when Getty's Jonathan Klein moved from Seattle to New York, it was primarily to find a suitor. Now, Alamy's CEO is coming to the Big Apple to "oversee the opening of the US office..." which means that he's looking for a buyer. Good luck. What's next? Well, look at Getty as a roadmap. It's getting harder for photographers to get their material accepted, with very inconsistent rejection reasons. Getty started a "pay for acceptance" per-image charge model. Don't be surprised to see that from Alamy in the near future. Alamy will continue to do things that make it more attractive to a buyer, and that includes things like further reductions in photographer percentages, and so forth. Instead of shrugging your shoulders, try canceling your contract and pulling your images. It's only a matter of time before they are asking you to bend over.